Here are the points awarded after Fleets and All Navy East. Many shooters beat 90% of their competition, but they did not receive legs. EIC matches are about beating 90% of your fellow competitors on any given day under equal conditions. I argued against the cut score before it was passed, and I am against it now as well. I will point out again that I have received points for a 248. 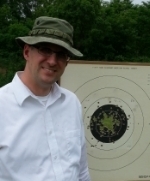 In earning that first bronze, I beat many skilled shooters and at least one of America's best warriors. If the cut score is kept, Distinguished shooters should feel compelled to shoot at least one EIC match above the cut score per year or forego wearing their badge that year. Anything less would seem unfair given the spirit of the new rule. I wonder how many pins would disappear. Note: The title and objective of this thread refers to changes we are now seeing as matches take place using the cut score. I would bet that under the new rules it is going to be extremely rare for shooters to miss the cut and still be in the top 10%. I missed the 250 cut and saw my name on the wailing wall list for the second EIC match. I'm not sour, because I knew I needed 250 and didn't achieve that. So more dry fire, use the new air pistol, and review/re-attack fundamentals with some live fire practice and I'll get it next time. I think I cut and paste from the correct sections. There should be a bronze for every gold and silver. There is one Navy shooter listed. That seems wrong for Navy matches. Like Dewey says there are not many Navy shooters. By the process of elimination that would make you "Mark"? Nope, Derek. I believe the wailing wall was sorted by USN specific, which is why my name popped, but not on the overall list. I didn't want to filter to that level since I will make errors between Active/Reserve/Retired so I took the easy route and simply went with the top 10%. An official message will be released with results and that will be the true guiding document. As funding gets cut for military shooters, we will see badges drop. USAF has four Distinguished shooters currently between Active and Reserves if I remember correctly. There was a time when each military base had a team and armorer types. Those days get further in the rear view daily. I don't have a problem with the system nor the trends for fewer badges. It's supposed to be an accomplishment but not am easy one. DeweyHales wrote: As funding gets cut for military shooters, we will see badges drop. USAF has four Distinguished shooters currently between Active and Reserves if I remember correctly. That's where senior enlisted and Officers have an opportunity. I'm hoping to get a Team next year. It may take brute effort, but we need new shooters, just like me this year and even better command teams. Everyone needs to find new shooters and bring them along to make this a success. CDR Bartel and CDR Glancey have done a terrific job preaching the message. Rob Kovach wrote: I would bet that under the new rules it is going to be extremely rare for shooters to miss the cut and still be in the top 10%. Rob, Did you mean that? It looks like it is going to be the opposite. It looks like it is going to be common to be in the top 10% and miss the 250 cut. At least in big matches. No, I do mean that. As everyone develops ammo that works better, the scores will rise. That will make it easier for everyone to break 250--especially those in the top 10%. In the last few years I've won 1st leather more times than I care to admit, but when that happened I wasn't under 250. I've been checking the cut scores under the old method it was very uncommon for matches I've entered to give legs to anyone under 250--in fact I can't remember anyone winning a leg in a match that I had entered under 255 for the last 3-4 years. Len, if you say that it is common for people to miss the 250 cut, then I say those shooters need to keep dryfiring. Marksman classification is 85 and below. Shooting a 250 score is an 83.33 average. If a shooter isn't breaking 250 they really need to work on their fundamentals, blah, blah, blah. Earn the badge for shooting the score not because you participated. The cut score is a top level Marksman score. Not unobtainable by any means. Boils down to really working on self; fundamentals, match pressure, etc. I was very happy to see a cut score. I like seeing people get distinguished, but I also like to think they earned it. I did say it was common. I was looking at the scores posted above. Of the 19 shooters in the top 10% only 9 made the 250 score and 10 did not. I was just looking at the only scores I have seen so far. I agree the scores will probably go up as more shooters start using the new ammo. These military guys are going to have to self fund. Many were issued guns and ammo on the line. Some still beat 90% of their peers. These guys aren't reloading either typically. It's tough to dry fire a gun you don't have. Many of them are both self funded and shooting hardball, because that is what they could get. Bingo. A large number were shooting borrowed guns, and a lot of TZZ and Federal hardball. I still say a 270 or higher shooter is more distinguished than any 250 shooter. At a match, shoot 270 and get first leather. Next month shoot 250 and get a leg. This does not make any sense to me. Jack H wrote: I still say a 270 or higher shooter is more distinguished than any 250 shooter. Pistol leg match scores are very volatile. It's much more about being hot at the right time than Rifle. The first NMC score I fired at Quantico was a 269. The next was 259. It was chilly and very windy, but pistol scores are volatile even when conditions are similar. I try not to look at scores. I look at names. If you can best the folks you know that are solid shooters, that's much more meaningful than an arbitrary score. As a Coach, I've never guided people toward a number but toward an action. The more we focus on a specific number, the more we will tend towards that number. Mr. John Eckenrode (CIV) finished 7th of 110 non-distinguished competitors. His score missed the cut by one point. There were a total of 15 Distinguished Pistol Shot competitors in this tournament. John outscored seven of them. Nearly half of the Distinguished did not make the "Minimum Credit Score". Wow. I never met John but I'll buy him a beer if I ever do. So Dewey, are congratulations in order ? Let me see if I have this right, Dewey. You are saying that those of us that had to shoot hardball, issued hardball at that, should have to go out and shoot a 250 with hand loaded wadcutter because the guy whose badge is so new it isn't even in the mail yet says so? I guess this reminds me of the scariest, and funniest, saying a person in the Navy could ever hear. "Chief, based on my experience we need to do this job a certain way...." says the newest Ensign on the ship. To which the Chief always says "Yes Sir, based on your experience I will see to it this job is done properly." Dewey, perhaps you might realize some of us have had the badge so long we don't see the need to wear it. When I won the Pacflt aggregate (and both high golds) as a non Distinguished shooter over 10 years ago, my mentor made sure I got one of his older salty badges to wear on my uniform. Now I know why, there is nothing worse than a booter badge. Enjoy it Dewey but let's not get carried away. Why not do away with all this nonsense and change the requirement to this, 30 points AND a Camp Perry leg. No one can say going distinguished is too easy if you have to go to Perry and get top 10% there. Perry is not an option for lots of shooters. If it was, Clarence would have legged out long ago. We made it over 120 years without a cut score. It seems odd that we need one now. Before the cut, it was about beating 90% of your fellow competitors. For the bulk of the years of the program, the winning scores have not been retained. We only retained the names of the top shooters. In the records I can find, there have been well known, very talented shooters legging with an occasional score below 250. Scores were higher in the past. There were more armorers floating around. There were more teams. Competition was higher. More people routinely shot iron sights. It's not a mystery as to why scores have come down. Rifle scores are very high. The AR doesn't need an armorer. There are adult shooters and Juniors all over. People haven't moved away from irons. If we must have a cut score, why not make it for hard legs only? I believe it's EASY even under the old rules to shoot a 250--even in terrible conditions. When I shoot a leg match, I am looking to shoot 260+ and if I don't, I believe that I don't deserve any points. The BS about not being able to dryfire your military issued firearm is just another excuse. It can't be worse than it was when I was in the Marine corps, and we could check our rack gun out for dryfiring any day of the week. With the new ammo, I expect my slowfire scores to be up 10 points. My personal goal is going to be 270 now under these rules. 270 is much higher than 250. Didn't shoot 250? Then you aren't good enough to get the leg. What is bad about that? The distinguished pistol badge isn't a one of those trophies that the little kids get just for participating in little league. Rob, don't forget this is the FLEET / All Navy matches. The USN and even the USMC typically doesn't let sailors check pistols out of the armory for dry fire practice. Also there are a high percentage who were using guns they borrowed or were issued on the line.